Video calling is becoming a trend among the people; you can see your friends and chat with them through the video calling feature. FaceTime is a built in feature which is present in the Apple, which has excellent popularity among the people. Various updates has made the video calling feature to be very famous and made it very flexible too. We all would have heard about the skype, and its awesome features. Skype is not only meant for video calls, but you can do text messages also in the application. Even you can do ordinary calls in the skype, you need to sign up for the feature and add the money in your account for calling the landlines phones all around the world. But you can make a free calling feature to a skype installed phone. You can easily make calls to iPhone, Android Phones and even you can make calls to the PC or any Mac. Even you can use the Skype in the Microsoft Xboxes too. Yahoo Messenger is another popular messenger in this globe, you would have heard about the Yahoo Messenger for the personal computer, from which you can easily establish the calls between the two personal computers. Likewise, In iPhone you can easily establish a video calls between two users through the Yahoo Messenger application. The main thing is that, you need a Yahoo mail service before using this messenger in your iPhone. This application is available in the app store for ultimately free of cost and you can download it, use it in your device. 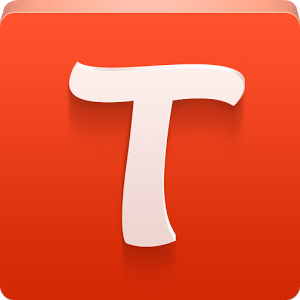 Tango is a highly rated video call application that lets you to make video calls to your friends. This application is totally free and you can establish a video call between the users using the Wi-Fi network or using the 3G network. This application is very easy to use and it is very popular among the iPhone users. Simply you need to install this application in your device and it will automatically search the contact list in your mobile. Then automatically it displays the contacts, who were using this service in your mobile. Thus these three applications allow you to make video calls to your friends using your iPhone, rather than using the Apple FaceTime in your Apple Devices.